Long Shot Red-band trailer to the President Charlize Theron & Seth Rogen rom-com. 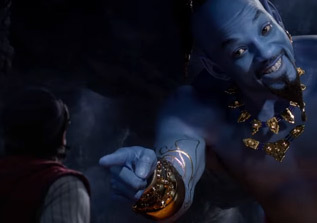 Aladdin You saw blue Will Smith. Now see a whole lot more in this full trailer.